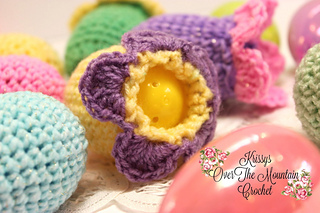 How cute and adorable are these little flowered egg covers? 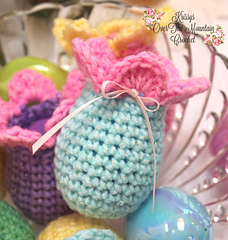 Fill a plastic egg with candy, put it in the cover and give as a gift. 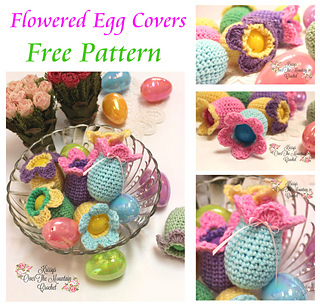 The top is still open so that you can run fishing line through the holes in the plastic eggs and hang them from a tree or in the windows of your house. Bonus! 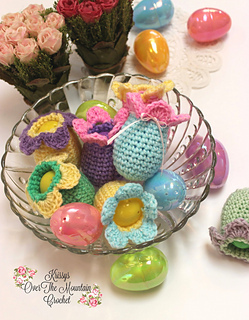 If you string a ribbon or long chain right under the petals, your little one can use it as a change purse when Easter is over. WIN! 2nd Bonus! 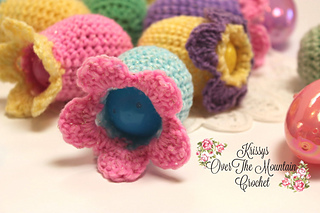 A pattern tester found a way to add a second row of flower petals, and she has graciously allowed me to add her instructions on how to make them. 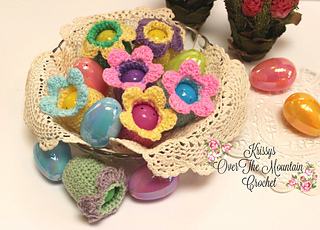 Make sure to find my Facebook group as we have a very friendly place to chat and share our crochet and crafts.